Bed sheet is a rectangular and flat shaped woven textile placed over bed for aesthetics, room decoration which is used daily and special designers bed sheets are used during occasions and festivals, there are different types of designs and printings available in the market, demand for double bed sheets are more than other types, they are available in the market in printings like floral print double bed sheet, zari embroidered double bed sheet, block print double bed sheet etc. Bed sheets are made with a different variety of fibers like linen, cotton, synthetics, polypropylene, satin, rayon and silks. The synthetic type is sometimes blended with cotton. Linen is a little bit costly because it is imported from Europe. To obtain best quality products choice of raw materials are very important. Cotton used is very significant because there are nine different grades of cotton are available in the market. Lower grade cotton slows downs the manufacturing process giving a lower yield thus medium grades cotton are used in most low-cost bed sheets. To maintain a standard quality various tests are performed to check whether the product is good or not, sometimes products are collected from the market for quality analysis. · Block printing with the hand: the oldest and easiest of all the methods but at the same time it is the slowest method. Designs are made in wooden blocks and each type of blocks is kept for different colors. Then the impression of the inked wooden blocks is taken on the surface. · Block printing with the machine: it is similar to block printing method but is done with the help of a machine. · Printing with roller cylinder and machines: it is a continuous method where designed rollers used and it prints color during the rolling process. · Stenciling: designs are done on paper and it is placed over the cloth and color is sprayed. · Digital printing: print is done with the help of computer graphics. 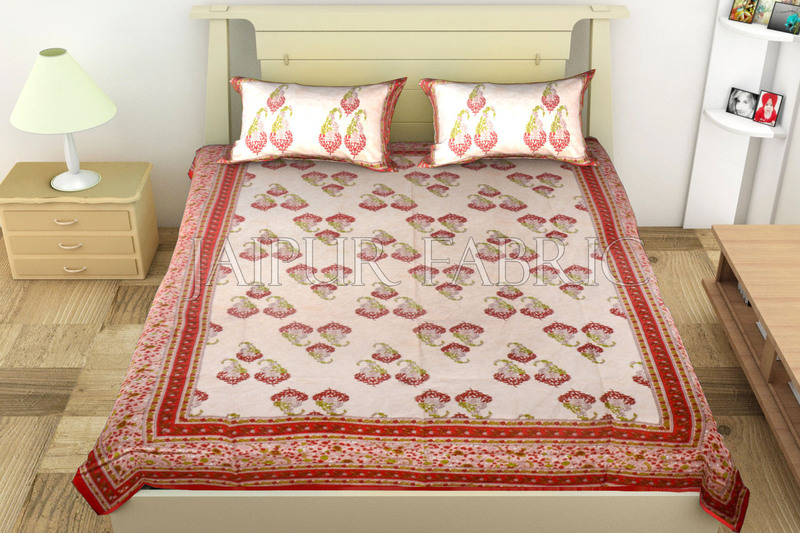 Demand for block print bed sheets remained always high in the market because of its availability at a reasonable price as the cost of manufacturing is low. 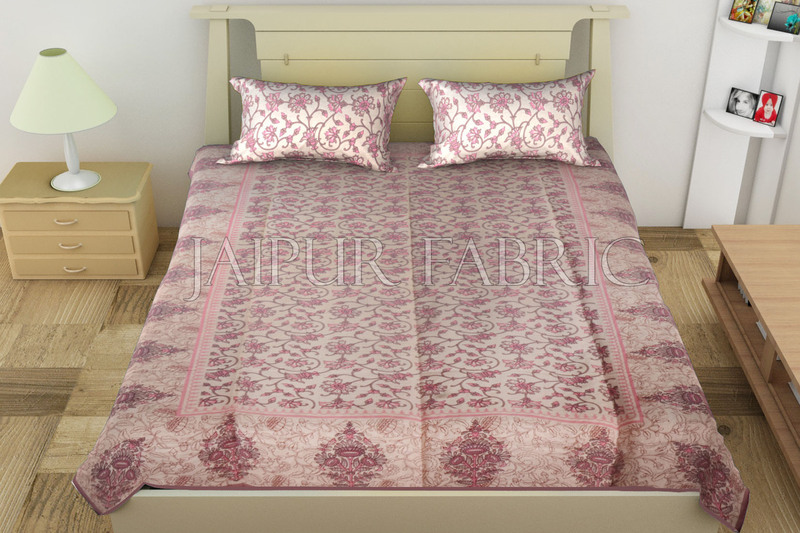 Although many designs are available in the market but the demand for block print double bed sheet is still high among all section of consumers.